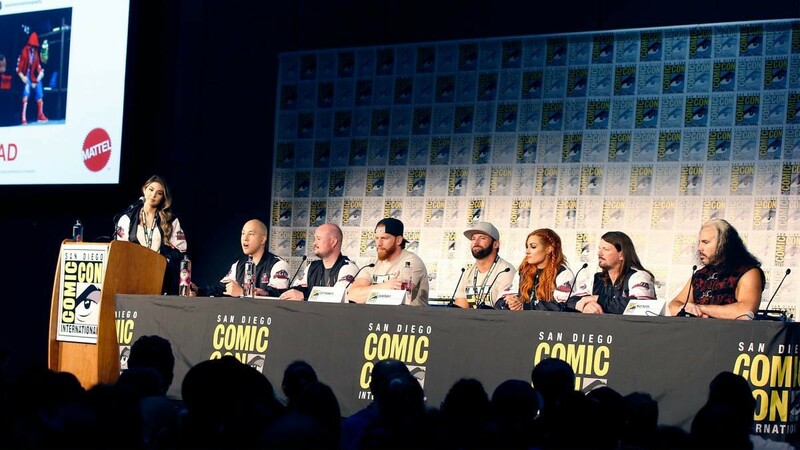 Mattel marketing and design team along with WWE Superstars were on hand to talk about WWE and the action figure line with reveals and a Q&A. 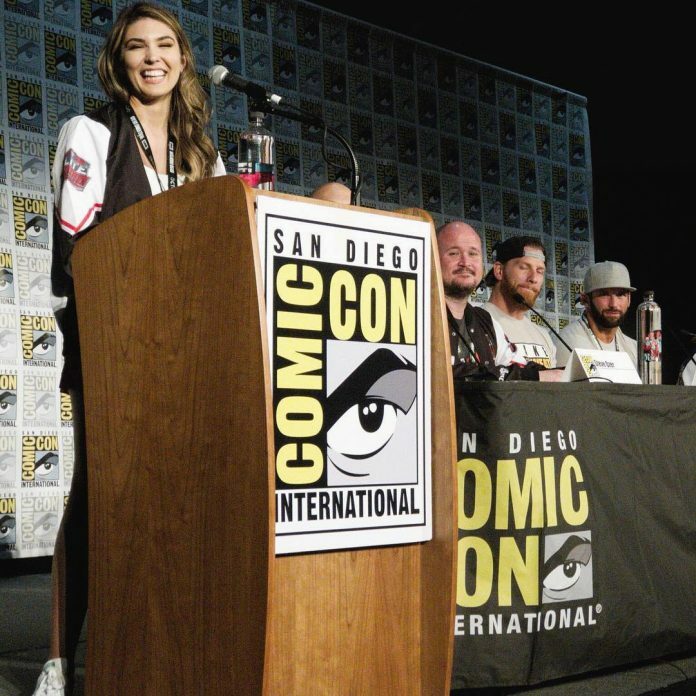 Cathy Kelley hosted the panel which included Steve Ozer and Bill Miekina from Mattel, plus WWE Superstars Curt Hawkins, Zack Ryder, Becky Lynch, AJ Styles and Matt Hardy. 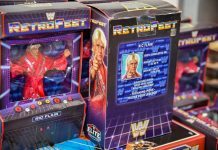 Steve Ozer marketing head honcho for WWE at Mattel announces that from 2019 Mattel will introduce “True FX“, digital printing technology with an unprecedented level of realism. Also from 2019, WWE Elite Collection will include swappable hands for the male WWE Superstars, for example closed and open hands, ready to wrestle or hold accessories. 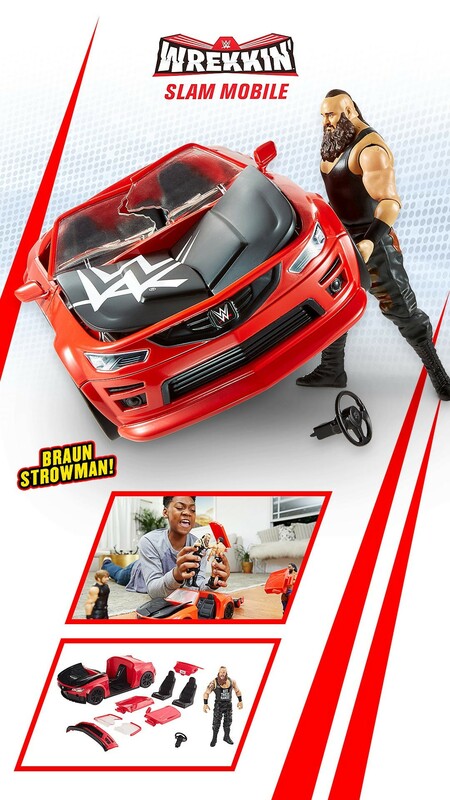 This idea was first introduced in the Mattel WWE Elite line with Matt Hardy from the SummerSlam 2018 assortment. Previously Bandai had first introduced this concept in their WWE line with several removable hands and heads. 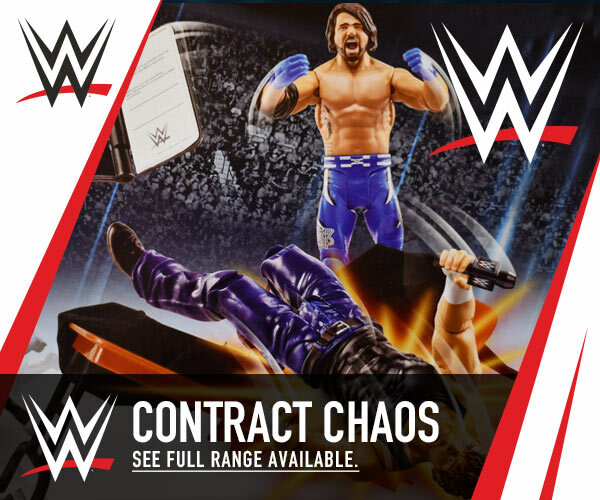 From 2019, Mattel will release “Chase figures“, which are alternate colour variations of selected WWE figures in the line. Those shown included Curt Hawkins, Shelton Benjamin and many others. 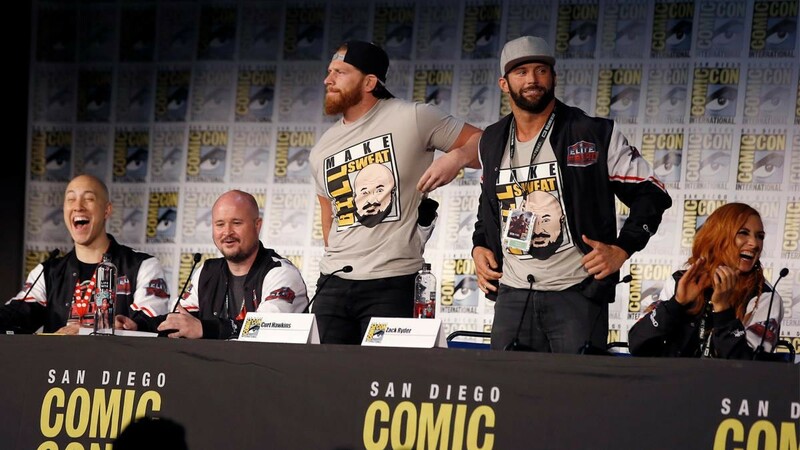 Zack Ryder and Curt Hawkins presented Bill Miekina with his very own SDCC themed t-shirt, with the slogan “Make Bill Sweat”, alluding to the many hard-pressed questions which get submitted. WWE Epic Moments continues with an Undisputed Era 3-pack featuring Elite versions of Adam Cole, Bobby Fish and Kyle O’Reilly. Following this will be an Ultimate Deletion Matt Hardy set with accessories. WWE Entrance Greats will close out with two further releases, featuring Goldberg which includes the WCW Championship belt and Elias with his guitar accessory. 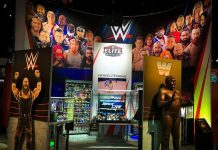 A new Mattel WWE line will debut, entitled “Ultimate Edition“, which is directly replacing Entrance Greats / Defining Moments. 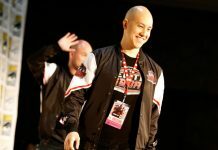 More details will be announced at a later date. 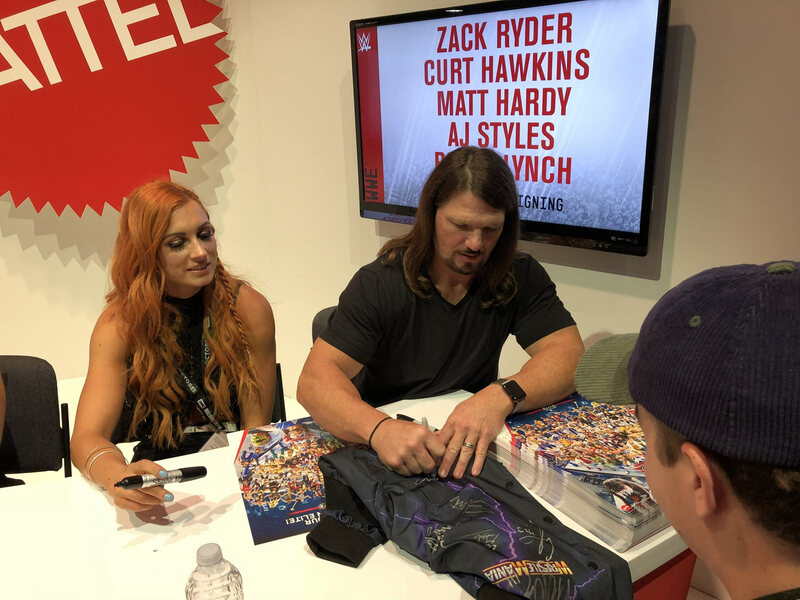 A new first-time WrestleMania Axxess Exclusive figure will debut in New Jersey for WrestleMania 35 at the WrestleMania store featuring Asuka in two Elite versions. One will feature an entrance robe and the other four removable masks. It will also include the NXT Championship belt. 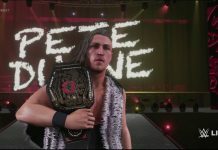 A question submitted was whether the NXT line will continue? 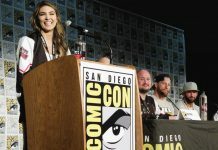 Bill Miekina: I hope so, I like to see the new faces in the line also. For a more detailed Q&A, see later in the event when Steve Ozer from Mattel took fan questions. 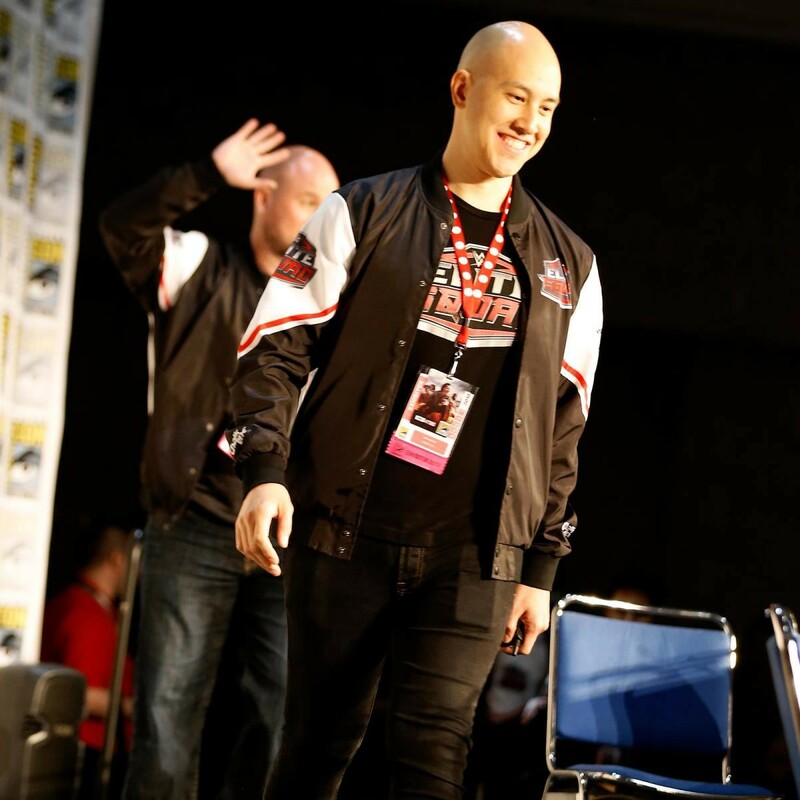 We will have our own interview upcoming with Bill Miekina from Mattel in a few weeks time. To be updated with all the latest news & offers.